James_: Spoke with Vodafone. This is a congestion issue and could be rectified by installing new hardware but they are unwilling to do this as it is expensive and only happens to the network at this time of year. They are just going to ride it out and monitor the congestion, despite the network being unusable since 10pm Christmas Eve and still unusable - well in breach of most SLA agreements. This is a dangerous position for anyone to be in if they need to make an emergency call in Australia - not to mention the effect on business and people staying in touch on holiday. Any SLA agreement would not cover roaming! Roaming setup invloves many elements beyond VFNZ network control. This is affecting many carriers around the world. International links are congested? What, and they can't fix this after 4 days?! That's ludicrous. Never, ever have I heard of such a ridiculous situation as this. VFNZ are a telecommunications provider. Are they providing that service? No. They can pass the buck all they like, but if the problem is within Vodafone (which it is), it is their problem! They must fix it. 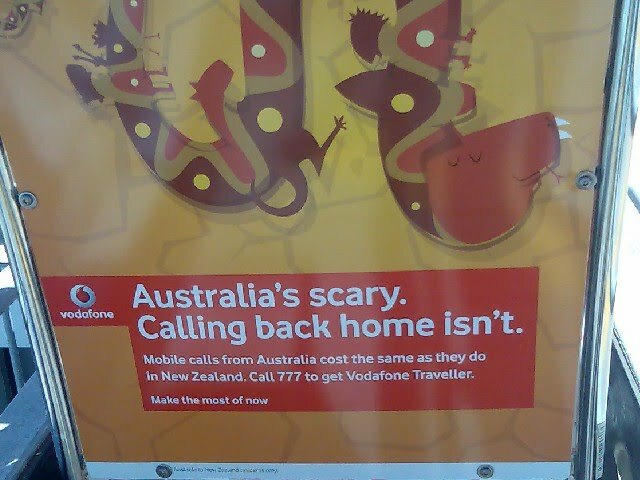 VFNZ/VFAus - it's all Vodafone, surely they can speak to each other? James_: despite the network being unusable since 10pm Christmas Eve and still unusable - well in breach of most SLA agreements. This is a dangerous position for anyone to be in if they need to make an emergency call in Australia - not to mention the effect on business and people staying in touch on holiday. While the outage is an issue, noone is denying that - I must ask - what SLA's? Unless you are a business/corporate customer with a SLA, you generally have a 'best effect' restoration of service. Probably best to check where you stand under the CGA and the vodafone terms. In any case, the phones should be able to make emergency calls (even without SIM - correct me if I'm wrong) even when roaming. Go and enjoy the sun!! Lol! I have left my phones at home most of the last few days and have really enjoyed the limit of contact!!! ok fair point - think i was getting a bit carried away there. sloth: ok fair point - think i was getting a bit carried away there. Lovely here today not 36, Went out port Waikato and left Blackberry Nokia 6680 and Vodem at home! It's still impossible to make calls from the VF Australia network but SMS and data now seems to work OK.
SMS still NOT working, tested between multiple phones here and in Auzzie. 10:54PM Sat 29th. "problem is with VFAU, not VFNZ, problem is SMS and call congestion, and there IS NO FIX, 'we just have to wait for it to resolve itself'"
My guess is that with new years txting volumes coming up that this congestion will only get worse, so I don't expect this to be fixed until well in to Janurary. Have advised family there to pick up VFAU prepay SIMs. But on the "roaming" topic, I saw at the Airport today this which got me snickering.